Can Uddhav Thackeray afford to go solo or is he just trying to bargain hard with BJP? 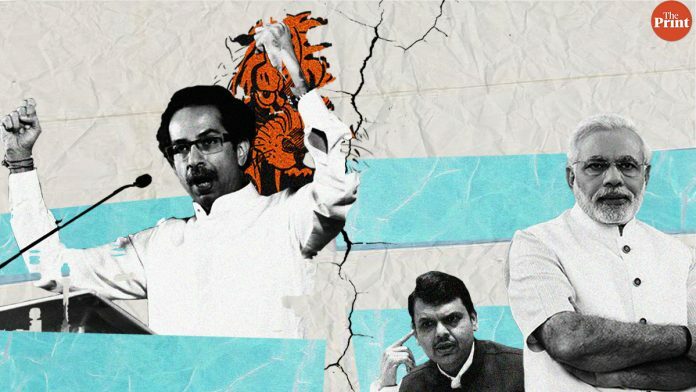 The Shiv Sena, which has officially resolved to contest the Lok Sabha elections on its own, continues to keep the BJP and its own cadres on tenterhooks over a possible alliance with the saffron party. 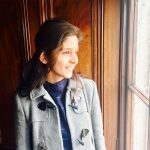 While it bitterly criticises the BJP-led government, the Uddhav Thackeray-led Shiv Sena also indicates its willingness for a tie-up if it gets the ‘big brother’ status and major share in seats. ThePrint asks: Can Uddhav Thackeray afford to go solo or is he just trying to bargain hard with BJP? On 23 January 2018, Shiv Sena chief Uddhav Thackeray declared that the party will contest all elections on its own strength from now on. This was much before the elections. If the statement was made for any sort of bargaining, we would have said it closer to elections. The Shiv Sena was weak in several areas from where it had not traditionally contested as a part of the alliance. For example, in Mumbai, the Ghatkopar seat always went to the BJP, or in the state, the Shiv Sena remained weak in Vidarbha. So, over the past two years, we have worked on plugging holes and building our cadre. We have strengthened our system of sampark pramukhs (communication heads) and appointed mahila sampark pramukhs for every parliamentary constituency. We have improved the administrative strength of Yuva Sena. All of them report to Uddhavji directly. The Shiv Sena has always been a grassroots party. The BJP has never really taken up grassroots issues and has chosen to focus on larger national issues such as Kashmir or the Ram temple alone. Now, nationally, the situation has changed. The Modi wave has receded and a number of National Democratic Alliance partners have cut ties with the BJP. We are still with them, but have decided to go solo. In the last four years, the BJP has lost several Lok Sabha bypolls. It lost state elections too. The party knows it is not a cakewalk anymore and seems to be keen on an alliance. We are not bargaining. If we are demanding a particular status in Maharashtra, it is just and rightful. We have been and will always be the elder brother here because of our strength on the ground. The alliance of BJP and Shiv Sena is more than 25 years old. The idea always was that forces with a Hindutva ideology should stay together and a situation should not be allowed to develop where anti-Congress votes get split. We have had our own differences of opinion since the beginning because ultimately both parties are different entities. For example, separate statehood for Vidarbha has always been a divisive point between the two parties. But we have been able to work together despite our differences and voters have also shown their acceptance to this alliance. In the upcoming elections too, the BJP thinks that the two parties should contest together. The BJP’s track record of contesting independently is good. Before 2014, the party had never contested on more than 117 seats in the 288-member assembly. And yet, in 2014, we won 123 seats on our own. Similarly, in the Mumbai civic body elections in 2017, the BJP posted a strong performance, almost comparable with the Shiv Sena’s. However, in the interest of Hindutva and in order to avoid any division of anti-Congress votes, the BJP thinks there should be an alliance with the Shiv Sena. Leaders of both the parties will together take a decision on this in due course of time. From Congress’ point of view, it does not matter whether the Shiv Sena and the BJP contest together or separately. People’s mandate is already out there. 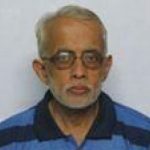 The atmosphere right now is such that there is a clear separation – either people are for or against Prime Minister Narendra Modi. 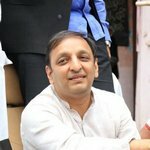 The number of people who are pro-Modi has dropped and voters have realised that if there’s any party that can defeat Modi and provide leadership to the country, then it is the Congress. The BJP and Shiv Sena both need each other and are likely to ally. If they don’t, the Shiv Sena won’t perform well in the Lok Sabha elections on its own. The Shiv Sena has been with the BJP in the government for the past five years, so irrespective of what they are doing now, the anti-Modi votes will go against them too. If the Shiv Sena contests separately, then at least in the Lok Sabha polls, the anti-BJP votes will go to the Congress. Barring in Mumbai, the Shiv Sena will not get votes anywhere. Voters will think about the point in electing a Shiv Sena MP. In their minds, the fight is between the Congress and the BJP. 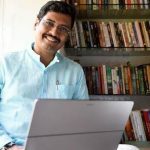 The way Shiv Sena has been deliberately marginalised, the party needs to stand up firmly and get counted if it really wants to survive as an effective political force. Though BJP president Amit Shah is now trying to rope in Shiv Sena in the wake of opposition unity, he and PM Modi had always looked at Sena as an obstacle in having complete sway over Mumbai — India’s financial capital. A barrage of accusations about Sena’s corrupt administration in the Brihanmumbai Municipal Corporation were made publicly by BJP leaders. The common Shiv Sainiks want the party leadership to retaliate effectively. Hence Uddhav Thackeray’s off and on declarations of ‘going alone’ have failed to satisfy the party cadres. The BJP is hankering for unity, because it has realised that without Shiv Sena, it stands to lose many seats in the Lok Sabha elections. This has given a chance to Sena to demand the status of the ‘elder brother’ and ask for the majority share of seats like in 1995. The BJP is not likely to accept such demands. So now the onus is on Shiv Sena to take a decision. Sena cadres are ready to ‘go alone’. Will Uddhav Thackeray be able to fulfil their desire? The answer will test Uddhav’s effectiveness of leadership. When Shiv Sena chief Uddhav Thackeray sends mixed signals to the BJP, he is trying to strike a balance between two things on his mind – optimising his party’s electoral gain while being the most relevant saffron party in Maharashtra, as it had been under his father, Shiv Sena founder Bal Thackeray. On its own, the Shiv Sena is unlikely to get the kind of numbers it did in the Lok Sabha in 2014. 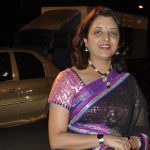 It was largely due to the ‘Modi wave,’ which several Shiv Sena candidates acknowledged at the time, that the party got 18 MPs elected, its best-ever Lok Sabha tally. Despite this performance, and a strong presence in the state assembly, the Shiv Sena feels snubbed in the current BJP-led governments at the state and the Centre. It had better representation in the Atal Bihari Vajpayee government of 1999 than the Narendra Modi-led government despite having fewer MPs then. In the state, the Shiv Sena feels threatened with the ambitions of the Modi-Shah regime, which has made its cadres extremely restless. For Uddhav Thackeray, the need to stamp his party’s presence as Maharashtra’s most significant political force is urgent, and so, while the party needs an alliance in terms of pure numbers and access to power, it needs to be on his terms. Previous articleDid full majority Modi govt help Parliament perform better or has politics derailed it? Next articleRevoking Pakistan’s MFN status: Proportionate reply or Modi exploring diplomatic steps first?